Skiplagged makes it easier to experience the world. 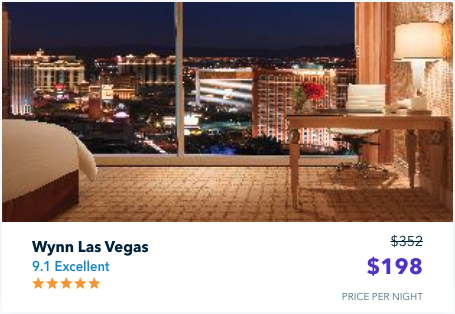 Skiplagged makes it easy for you to find the best rates on airfare and hotels. All of the information, none of the hassle. We even show you flights the airlines don’t want you to see. Our goal is to empower consumers to use their buying power however they please. We exist to just find the best prices for you. Making it easier to experience the world. Find flight and hotel rates you won’t see anywhere else. Check out our mobile app. We show you flights the airlines don’t want you to see. 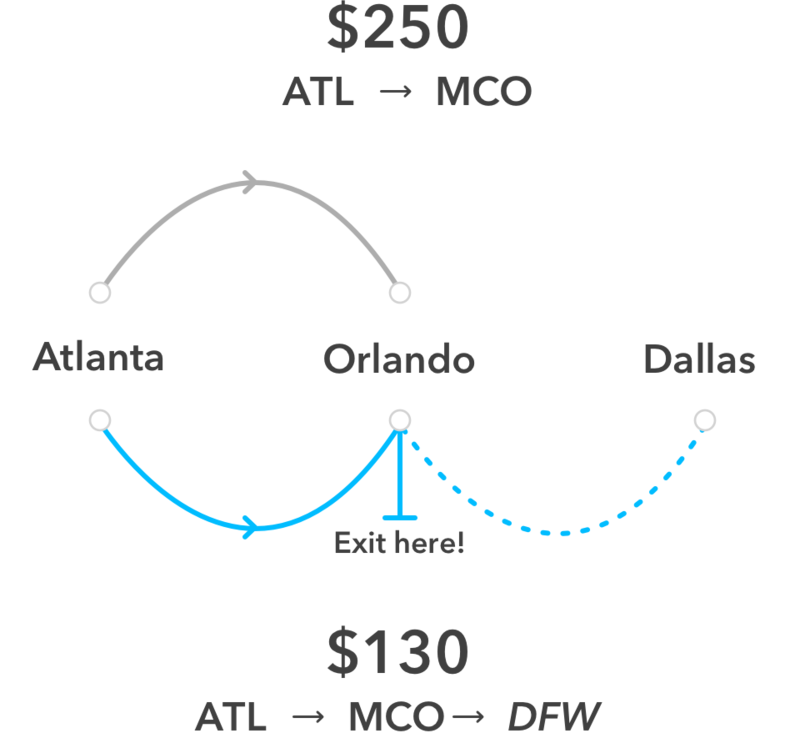 This example shows you how to save $120 by booking a flight to Dallas with a stopover in Orlando. We also show you the best rates on hotels. This is one of the top hotels in Las Vegas. Everyone else is charging $200/night. We only charge $100/night. Our unique algorithm shows the cheapest regular flights and hidden-city flights faster than any other site. Hidden-city flights refer to itineraries with multiple legs where the traveler exits prior to the final destination. As an example, a traveler who wants to go to San Francisco from New York would book a flight that is ticketed for NYC -> San Fran -> Seattle and end their travel once they arrive in San Fran and skip the leg to Seattle. This results in savings of up to 80% using Skiplagged. Be sure to check out our FAQs for full details. We are improvers and frequent travelers. We believe consumers should have more power over how they spend their money. Information = power in our books. We grew tired of the inefficient and expensive process of travel planning so we sought to improve it by creating a lightning fast search portal. We also noticed there were no travel companies that truly worked for the consumers benefit so we changed that. Some tried to stop us but we persevered.